Today I am going to tell you something about UGC-NET exam which will held in December 2018. In this blog, I’ll share each and every detail/information regarding the changes in UGC NET exam pattern and syllabus. The purpose to set up NTA was to relieve CBSE from its duties of conducting examination, so as to focus on improving the quality of higher education on the nation. NTA is formed to reduce allegation of variation in difficulties levels amongst different sets of papers. The aims of the NTA are to ensure a standardized difficulties levels in the competitive exams and run a smooth admission procedure. UGC NET is conducted for the Assistant Professor or Junior Research Fellowship for Indian national citizens, and this exam will be conducted twice in an year. As per the official information released by CBSE, UGC NET exam pattern is changed. check pattern blow. 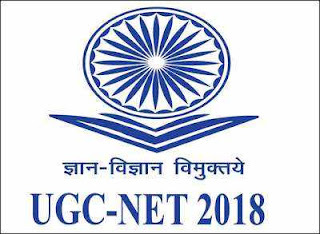 UGC NET will consists of two different papers i.e(paper I and paper II) which is conducted in two sessions. So, this is the new pattern for the UGC NET exam. According to official website of CBSE, Paper I is conducted for testing the reasoning ability , comprehension, general awareness and divergent thinking. The time will changed from 1:30 hr to 1:00 hr i.e (from 9:30 to 10:30). Number of question is reduced from 150 to 100. In paper II both previous paper II and paper III will combine and formed a paper II. Cut off will made according both paper I and paper II combine. Each section gets weightage: Five question and 10 marks from each section. Whenever pictorial question are set for the sighted candidates a passage followed by equal number of question should be set for the visually handicapped candidates. A passage to be set with question to be answered. Structure of the institutions for higher learning and research in India; Formal and distance education; professional/technical and general education; value education; governance, polity and administration; concept, institutions and their interactions.